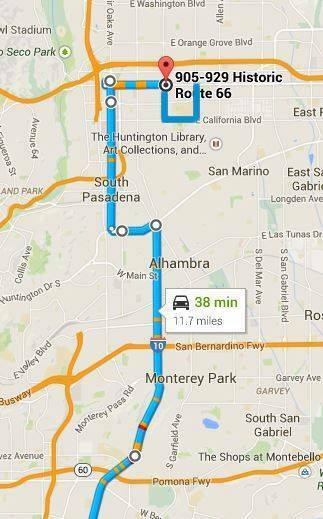 What are Metro’s 5 Alternatives to a surface freeway? Check this out: Navigating 710 EIR Info Guide. 2. A traffic management system to upgrade and synchronize signals and improvements to local street intersections to more quickly move traffic that exits the dead end freeway. 3. A rapid bus line featuring high frequency service with minimal stops and potentially a dedicated bus lane. This bus route doesn’t connect to any light rail station! 4. 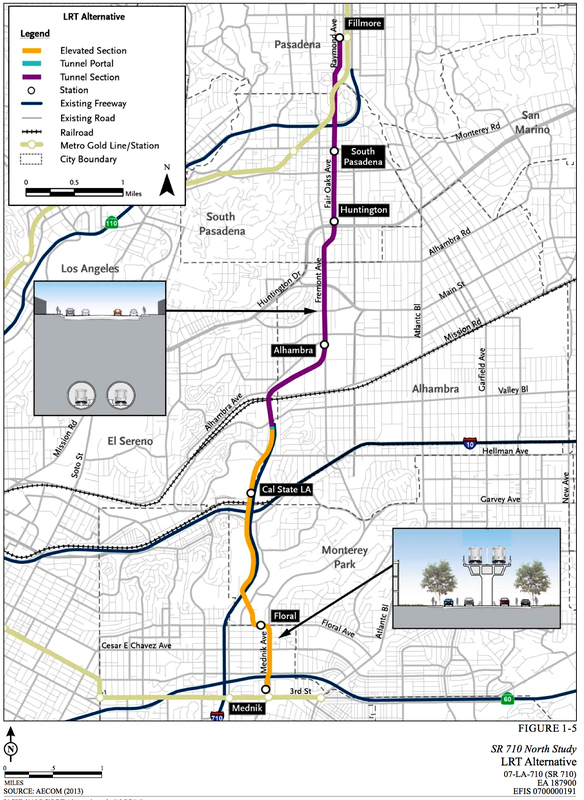 Light rail to carry passengers between East Los Angeles and Pasadena. A light rail option would cost half of the freeway tunnel and take one more year to build according to the EIR. $5.6 billion to initial estimate to pay for tunnel, according to 2012 CalTrans/Metro; only $716 million raised by a 1-cent tax since 2008. 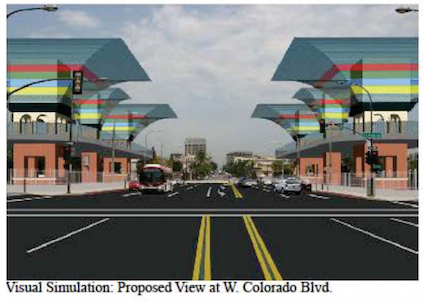 Six 50-foot high ventilator stacks to be built on Colorado Blvd. bridge above 210 connector, 2 blocks from the Norton Simon Museum headed east. Another structure in El Sereno.